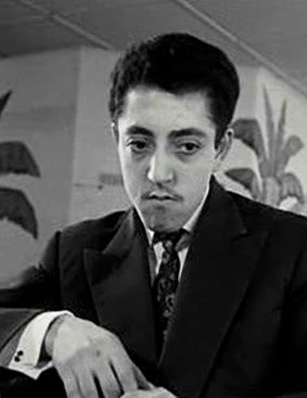 Claude Melki (23 February, 1939 – 29 March, 1994) was a French Buster Keaton, with a deadpan manner and an elastic body. New Wave director Jean-Daniel Pollet discovered him by chance and cast him in his award-winning first short film Pourvu qu’on ait l’ivresse, the first of a number of successful collaborations between the pair. He also appeared in Georges Lautner’s Laisse aller… c’est une valse (1971) and Jacques Demy’s L’Evénement le plus important depuis que l’homme a marché sur la lune (1973).